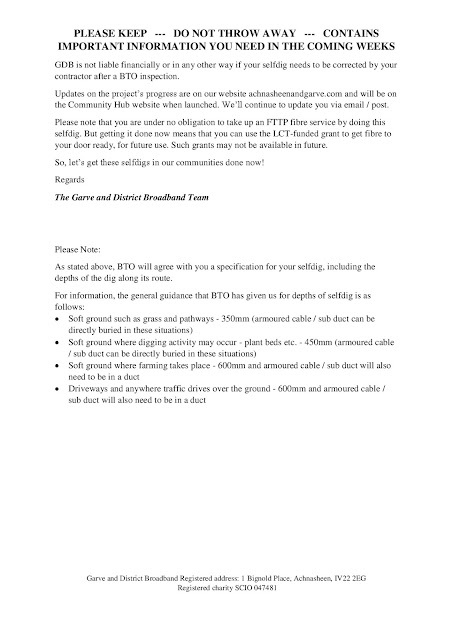 Every property requiring a self dig for the FTTP upgrade will receive a letter, this will outline what to do, what grant amount has been allocated to that property, and point of contact, for each area, in case of query. The first three pages of the letter are below. Whether you choose one of these contractors is up to you. If you prefer, you can do your own selfdig. 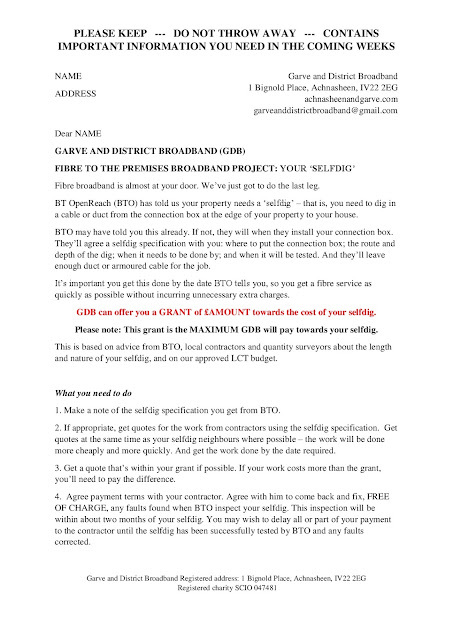 Or you can ask someone else to do it for you eg a different contractor, friend, neighbour, gardener, relative, employee, or person you have used for small jobs before. GDB is not and does not purport to be acting as an agent for contractors or for householders by providing this information. 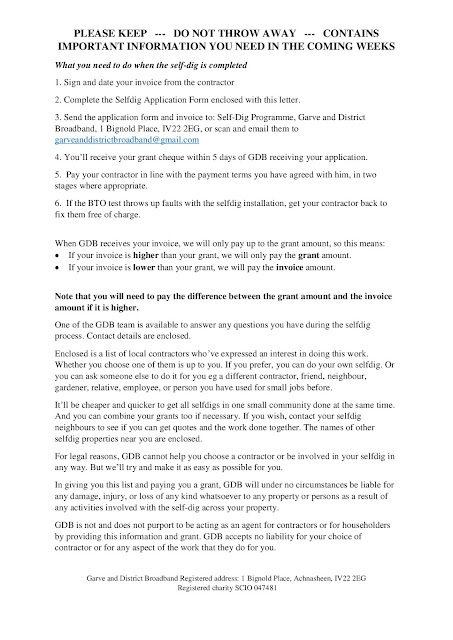 GDB accepts no liability for your choice of contractor and will under no circumstances be liable for any damage, injury, or loss of any kind whatsoever to any property or persons as a result of any activities involved with the self-dig across your property, including the correction of any faults found by a BTO inspection.